Central's featured game of May 2013. The beauty of being off school for the summer (yes, we have lives outside SuperPhillip Central) is that we can devote more time to providing more original content for our readers. This is exactly what we set out to do and exactly what we have done. Our eleven new reviews speak for themselves, but we're going to talk about them anyway in this month's Review Round-Up. May was unexpectedly a month of platformers, both 2D and 3D. We started off incredibly strong with one of SuperPhillip Central's favorite games of all time, Super Mario World. The game may be two decades old, but it is still darn strong. We gave it a perfect score. Following that were three 3DSWare titles, two of which being platformers. The first was Super Little Acorns 3D Turbo (don't forget to check out our interview with Andy Wafer from Pixel Toys, the studio behind the game), which gathered an 8.5 score. Then came Fluidity: Spin Cycle, which twisted and turned its way to the same score. The third 3DSWare game was Suda 51's Liberation Maiden, whose mission to get a good score was a success (7.0). 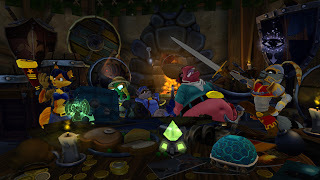 We then went back in time with Sly Cooper and the gang with Sly Cooper: Thieves in Time (9.0), spent some quality time with Mario and Donkey Kong with Mario and Donkey Kong: Minis on the Move (9.0), and slept perchance to dream with Super Mario Bros. 2 (8.0). 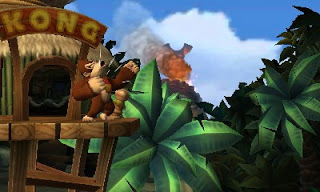 Next up, our featured game of the month, Donkey Kong Country Returns 3D, ran away with a terrific score of 9.5. While that was a great game, Pac-Man World 2 did nothing but disappoint (4.0). That said, we quickly got that bad taste out of our mouths with our review of the sensational Super Metroid, which screw attacked its way to a 9.5. Finally, we moved away from the world of platforming and into the world of ultra-violence with our review of Anarchy Reigns (7.0). It was a very productive month here at SuperPhillip Central, and we hope June is just as busy and prosperous for us. without Sly Cooper and his merry band of thieves!